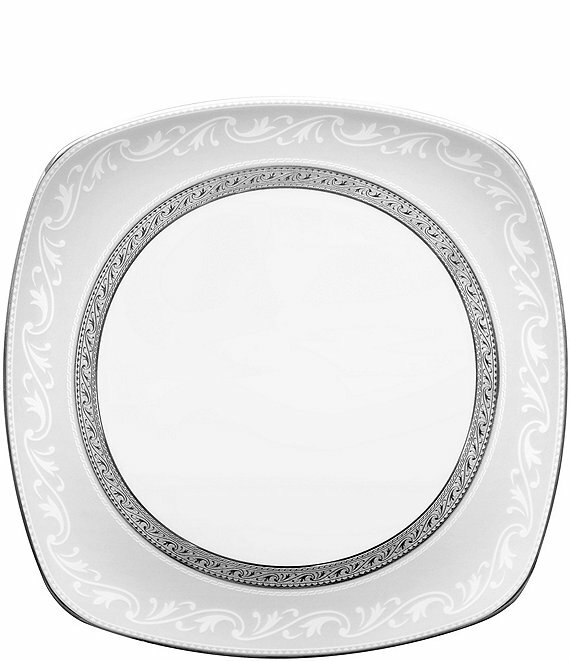 From the Crestwood collection by Noritake, this pure white porcelain square accent plate features an etched platinum border. Approx. 8.75". Dishwasher safe.